Mall update #16: Time to get Pumped! Next to the cupcake vendor is the single smallest shop in my mall, a miniature faux-GNC shop with vitamins & supplements on the side nearest the bottom of the shot, protein powders & such opposite. Video of all, when all is done. When you have completed your MOC mall, I'd be interested to get your estimate on how many pieces you used. Awesome job posting updates for each individual retailer as they are completed! My brother is a freak with himself yo about his body appearance. 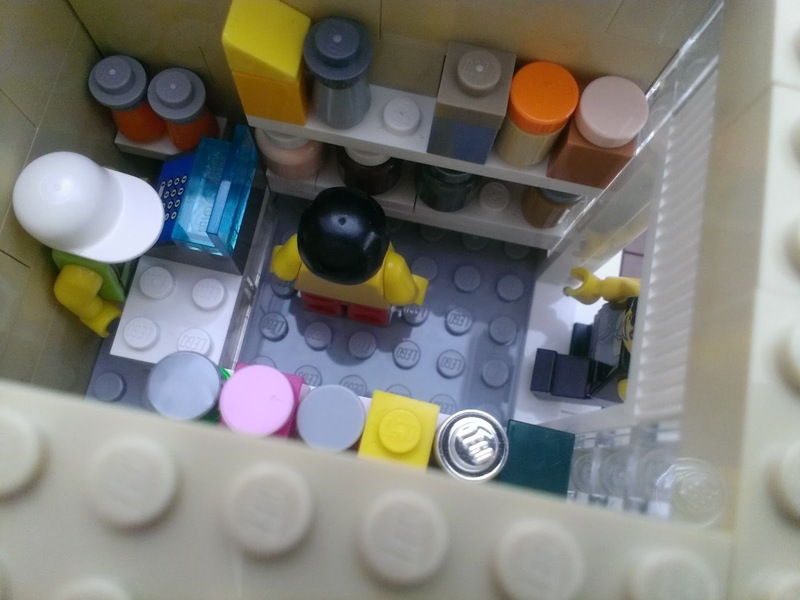 If go was a lego person, he would go to this place every day. Lol. When I said yo, I meant too. Sorry. Hahahaha. When I saw the title of the post I thought it was a balloon shop. A balloon shop could have gotten a few kid costumers, but a vitamin shop won't.